(CBS/AP) FRANKFURT, Germany - The founder of the environmental activist group Sea Shepherd has left a German jail after a court ordered him freed on bail pending a decision on whether he will be extradited to Costa Rica. 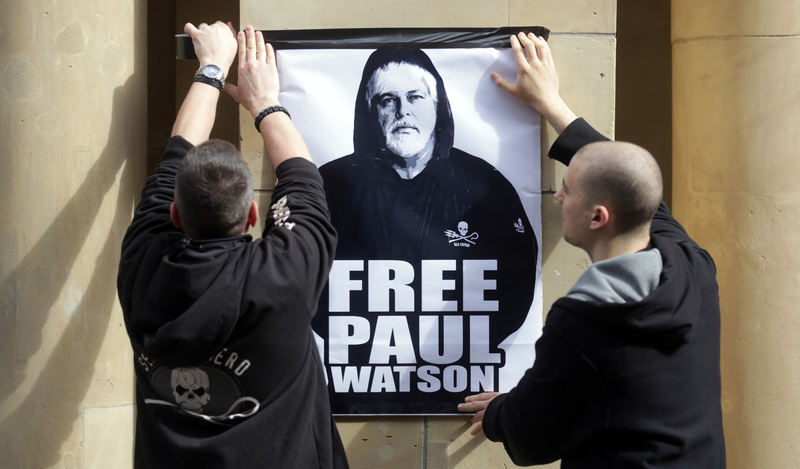 Paul Watson told reporters he was relieved to be free, a week after his detention at Frankfurt Airport on a Costa Rican warrant. He said Monday: "I didn't expect something that happened 10 years ago to sneak up on me in Germany." Costa Rica claims that Watson, a 61-year-old Canadian, endangered a fishing boat and its crew in 2002. Sea Shepherd says Watson was filming a documentary in 2002 when his team encountered an illegal shark-finning operation in Guatemalan waters. Last Friday, a Frankfurt court ruled that Watson could be freed on euro250,000 ($320,000) bail. Watson and Sea Shepherd are the subject of the Animal Planet reality series, Whale Wars.